Fall in love with lace in Damas 52393. This sophisticated, fitted dress, features an illusion, scoop neckline, with sheer, tank straps, that connect across the open, upper back, embellished with scattered jewels. Beautiful lace adds a romantic touch to the fitted, sweetheart bodice, and fitted skirt, which hits just above the knee. Everything ties together nicely with a lace-up closure on the back. 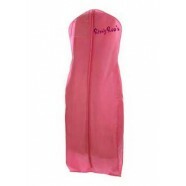 This sweet dress will look lovely at a wedding, Sweet 16, Quinceanera, or homecoming dance.